No mate, but I am able to feel the full bass spectrum between 10-250 Hz with precision wherever I go. Thanks to Lofelt and their Basslet this hypothetical conversation could well be a reality. Possibly the coolest wearable tech we’ve ever seen, their Kickstarter launched a week ago and they’ve already exceeded their goal by over 200 percent. 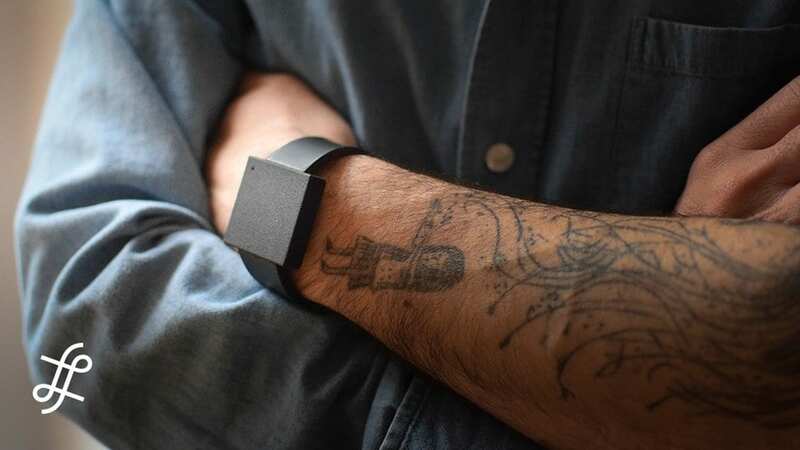 As you can see, the Basslet is worn around the wrist and was born through a desire to bring the physical aspect of live music into personal listening environments. The unique technology copies the waves with its vibrations and separates the bass-related elements such as drums, basslines and melodies with clarity. It can hook up with anything that has a headphone jack and has all manner of uses from enhanced listening while on the move to VR to added oomph while exercising to producing beats on the road. No matter how high-end your headphones are, we’ve all experienced those times when the bass just doesn’t cut it like it does at a club or through a big festival system, the Basslet could potentially say goodbye to those moments. With backing from the likes of DBridge and CEOs of Spotify and Hive, its multi-purpose use and appeal to all manner of users from producers to casual music lovers to gamers appears very well positioned, too.